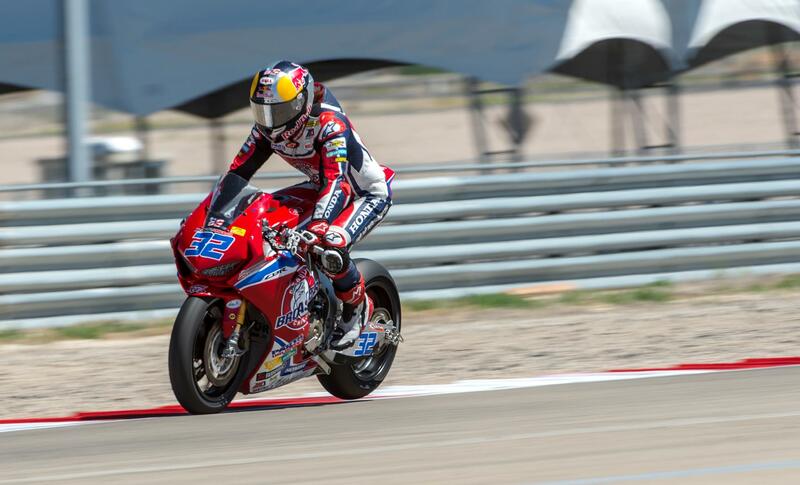 Jake Gagne will join the Red Bull Honda World Superbike team for this weekend’s Laguna Seca round in place of the late Nicky Hayden. The 2010 Red Bull Rookies Cup Champion will join Stefan Bradl in the official Honda team for the eighth round of the 2017 Superbike World Championship at his home circuit. Since Hayden tragically passed away following a cycling accident in May, the Red Bull Honda team have left his seat vacant out of respect, but felt putting an American rider on the bike for the Laguna Seca round was the right way to pay tribute to the 2006 MotoGP World Champion. “For me this is a dream come true and a huge honour to get to race in the World Superbike Championship with such a prestigious team,” said Gagne. It’s unclear whether the Red Bull team will replace Hayden for the remainder of the year after the upcoming Laguna Seca round.